Here at Handyman Services Bristol, we pride ourselves in providing a superior carpentry service across Bristol and Bath. Our committed team of carpenters are all fully trained and experienced in a wide range of tasks. Every project we take on is considered on an individual basis, we will make a clear plan of what work is required and explain the process to you. Throughout the process, we’ll keep you up to date on our progress so you know you’re always in the loop. The services we offer range from creating and fitting bespoke cabinets and worktops to flooring, through to routine carpentry repairs. 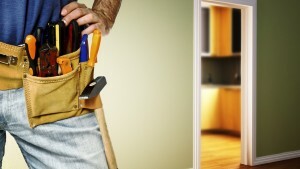 No job is too big or too small for Handyman Services Bristol. We know that a full range of carpentry services includes maintenance. That’s why we don’t just cover the installations; we will also provide woodwork repairs and renovations. Whether it’s work that we’ve previously carried out or someone else’s, we can carry out wood restoration, making it as good as new and giving it a new lease of life. We take the utmost care with your items as we know that they often have sentimental value as well as monetary value, and once we’ve completed out job we’ll make sure that we tidy up thoroughly. All of our carpenters are fully qualified, trained to the highest standard and have years of experience behind them. Most importantly they believe in good workmanship and take pride in working for the company that provides the best carpentry services in Bristol and Bath. If you’d like to find out more about our services, please call 0117 910 4702 today.